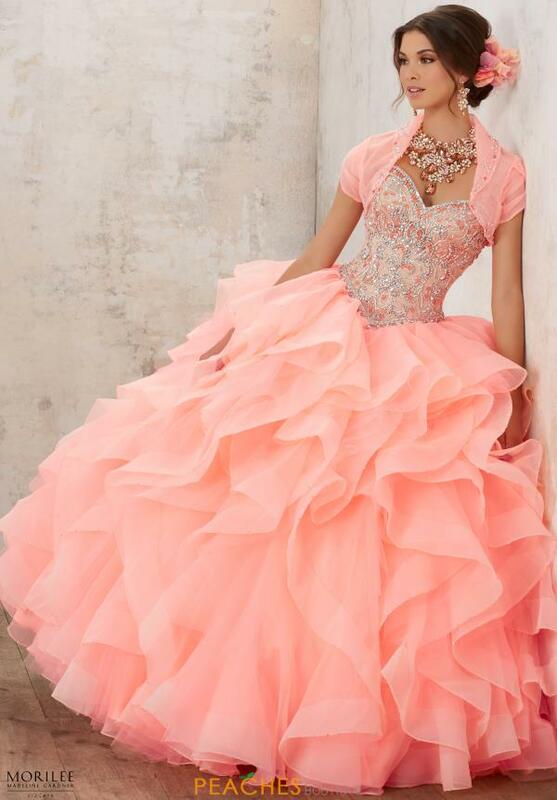 Make a grand entrance in this stunning Vizcaya ball gown style 89126. Glamorous beading drenches the elegant bodice which features a classic sweetheart neckline and lace up closure. A full ruffled organza skirt flares out from your waistline, adding volume and drama to your look. Finished off with a sweep train and matching bolero jacket. Shop for more Vizcaya dresses at Peaches Boutique in Chicago.